It’s that time of the year again: the weather is colder, the leaves are beginning to fall, and everywhere, facial hair grows. Be it No Shave November or Movember or what have you, beard-haters beware! ‘Tis the season of manliness! This PSA for Movember, from MadeMan.com, is the latest to embrace a new trend in advertisements for male hygiene: satirical machoism. And they couldn’t have picked a better spokesperson for their cause! Actor Nick Offerman, better known as Ron (f*cking) Swanson from NBC’s Parks and Rec, is an absolute delight – there is a perfect harmony between his straight-faced, sardonic delivery and the sillyness of what he is saying. Not to mention the fact that Mr. Offerman is packing one of the best mustaches the world has known since Burt Reynolds. And it all plays into the guidelines of manly satire approach as laid down by Dollar Shave Club and Old Spice (though not quite as random). Bravo! Here’s to moustaches everywhere! Disney | Darth Vader: What Are You Going to Do Next? Oh, the times they are a changin’ in a galaxy far, far, away. And much closer to home too, with Disney’s purchase of Lucasfilms and the incredibly lucrative Star Wars franchise. The four billion dollar deal was immediately followed by the announcement that Disney is producing a new Star Wars trilogy, set after the original and to be released starting in 2015. This has set off a backlash across the Internet, with fans lamenting the impending Disneyfication of the franchise and the succumbing of George Lucas to the dark side. As an ardent Star Wars fan, I understand where their anger comes from. But we must remember the wise words of Master Yoda – “Anger leads to hate, and hate leads to the Dark Side”. Truer words may have never been spoken. It’s sad to see something like Star Wars – the first blockbuster franchise of the modern Hollywood era – go so corporate. It was not too long ago that Lucas was a rebel himself, fed-up with the dealings of the Studio Empire, who fought hard to maintain his autonomy and vision; financing much of the trilogy with his own money. But the man who would defy Hollywood also showed it the way to even greater power through extensive merchandising, high-concept blockbusters, and sequalization. More than any other director on the planet, Lucas helped shape the formula of the modern blockbuster. And let’s not forget that George has never been able to let the Star Wars sleeping dog lie: adding more advanced CGI effects to the original trilogy and directing the three prequel films. Is it really a surprise that he sold out? Tragic as it may seem, this was an inevitability. The purity of the Star Wars franchise was bound to be tainted – just like a new building that eventually grows decrepit after thirty odd years. Rant on the politics of the film industry aside, let’s discuss the future of this beloved franchise. The day after the Disney-Lucasfilm announcement, this video was released featuring Darth Vader and his Stormtrooper entourage enjoying a day at Disneyland. It’s a well done spot that portrays the marriage between the two companies in an endearing light. Before anyone goes accusing Disney of commercializing Star Wars let us remember all the Star Wars themed advertisements that have appeared over the past decade. Or the Lucasfilm inspired rides at Disneyland that have been part of the park since the late 80’. In terms of Star Wars commercials, this one rates rather highly. So will the new Star Wars films be great? Most likely not, but they shouldn’t detract from fans love of the original trilogy – the same way any number of other bad sequels haven’t detracted from the original (I’m looking at you, The Godfather Part III). And with everyone’s expectations so low for Episode VII, who knows, we might all end up being pleasantly surprised with what Disney comes up with. It’s amazing that a video so clearly concerned with death is also simultaneously adorable. Props go out to the folks at McCann Melbourne for putting together such a delightfully morbid PSA to entertain (and educate) the public about subway safety. This is how I’ll teach my children about death – with a catchy tune and cutesy humanoid blobs. The indie vibe of the music perfectly matches the style of animation. It’s incredible fun to watch the blobs meet their untimely demise. Like Happy Tree Friends but with a conscience. It’s no Zoomin’ Through the Sound, but it’s message and heart are in the right place. Be safe y’all. 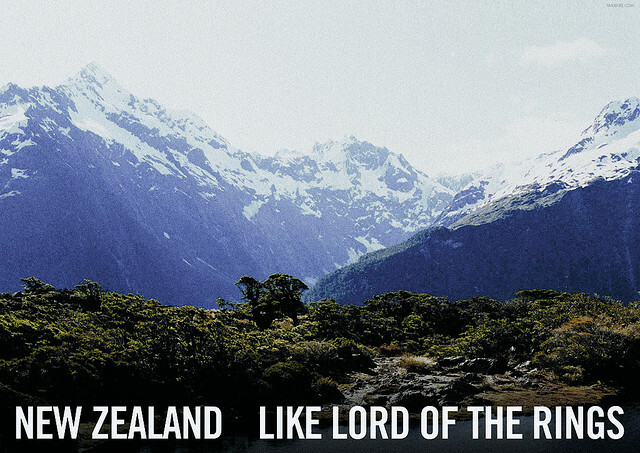 When you think of New Zealand, what is the first thing that comes to mind? I’ll bet it was Lord of the Rings. It’s funny that the LOTR and upcoming Hobbit franchises hold so much sway over New Zealand’s international reputation. But they do, and the citizens of New Zealand seem to fully embrace it. Par example, check out this new safety video for New Zealand Air. Working with dedicated employees of WETA Workshop the video is chock-full of authentic LOTR costumes and jokes. My favorite has to be the gag featuring LOTR director Peter Jackson and the One Ring – simply put, awesome. However, the video as a whole is a bit tedious. The cheesy jokes matched with the Shire score (the most excessively sentimental music from the films) is a little too much – the video ends up feeling tackier than the relationship between Frodo and Samwise. And the costuming inexplicably varies from WETA’s genuine wardrobes to DIY hobbits and Gollums. Then again, maybe airline safety videos are always painfully dull — even if they feature iPhone-wielding Nazgul in them. Still, I respect New Zealand Air for the concept: LOTR has clearly done wonders for New Zealand’s tourism, so why not take advantage of the ever increasing buzz surrounding the first Hobbit film? The only problem is the execution. Maybe they will have better luck in 2013 and 2014.